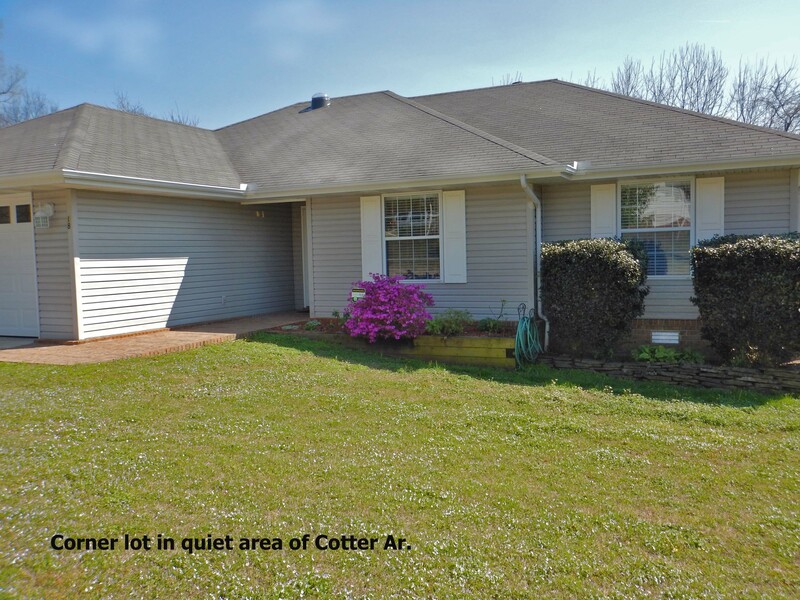 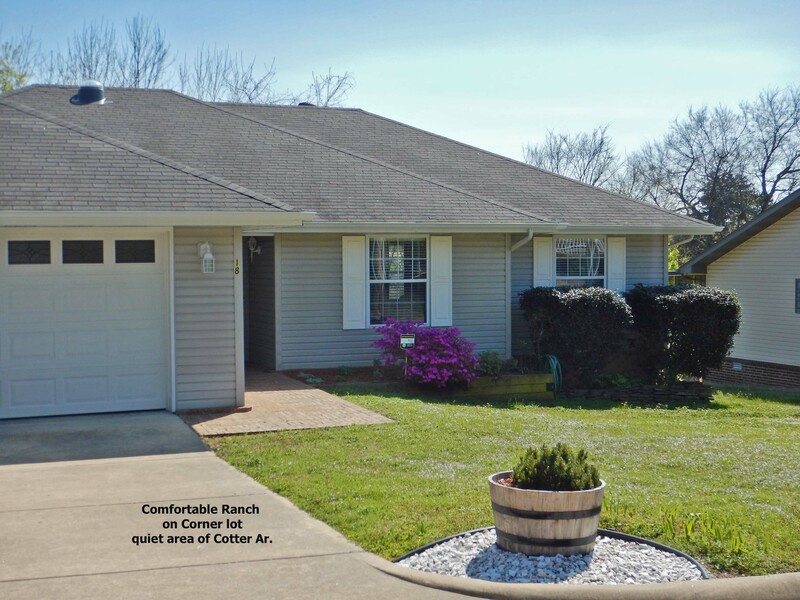 Comfortable ranch style home, tucked in a quiet area of Cotter,Ar., short distance to schools, shopping & the White River! 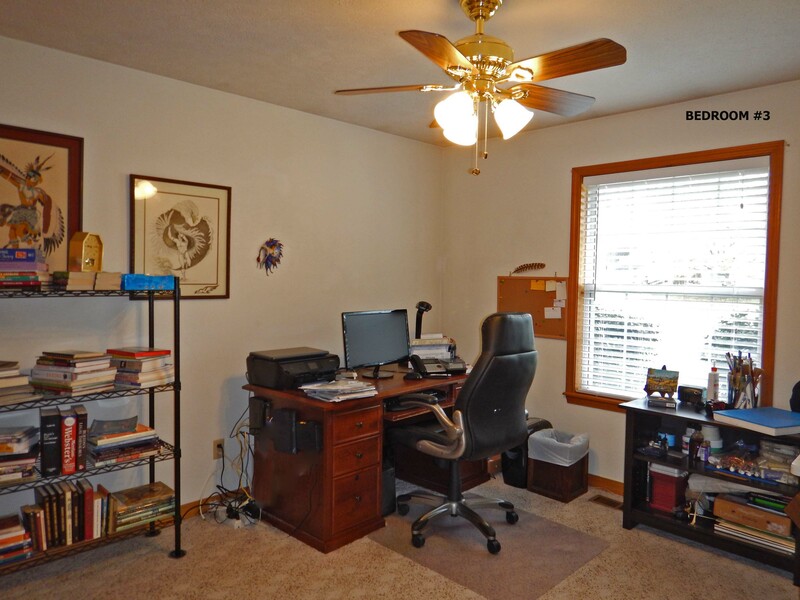 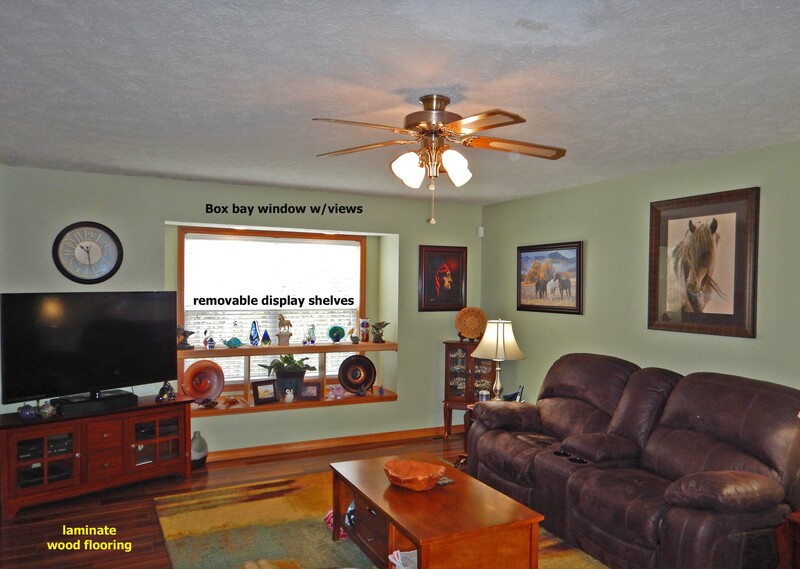 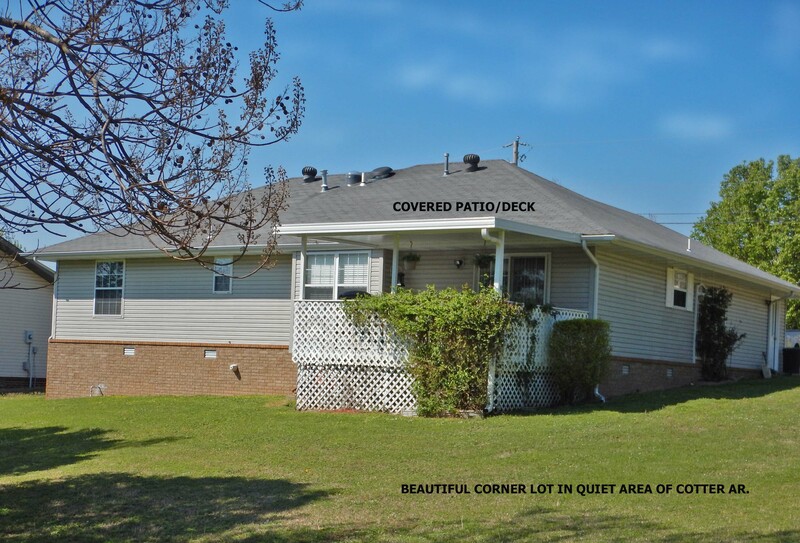 Updated and clean home has so much to offer, 3 bedrooms,2 baths and an attached 2 car garage. 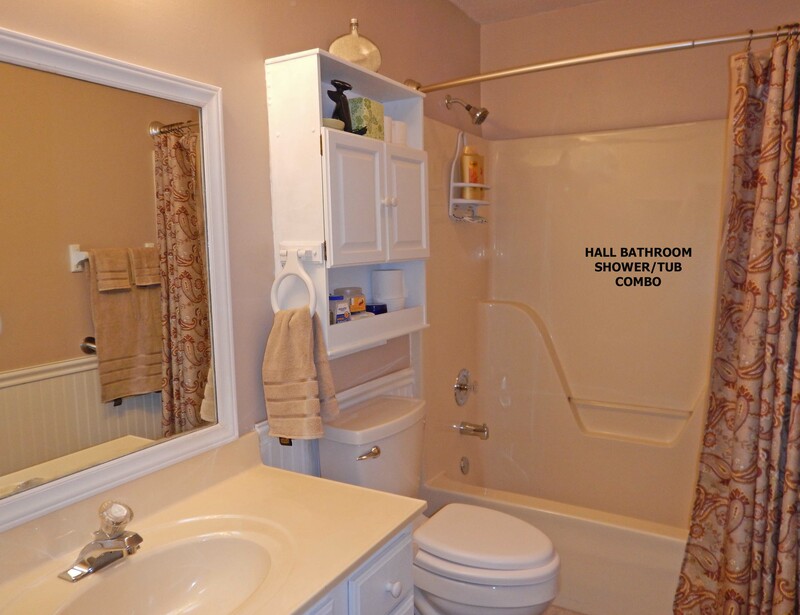 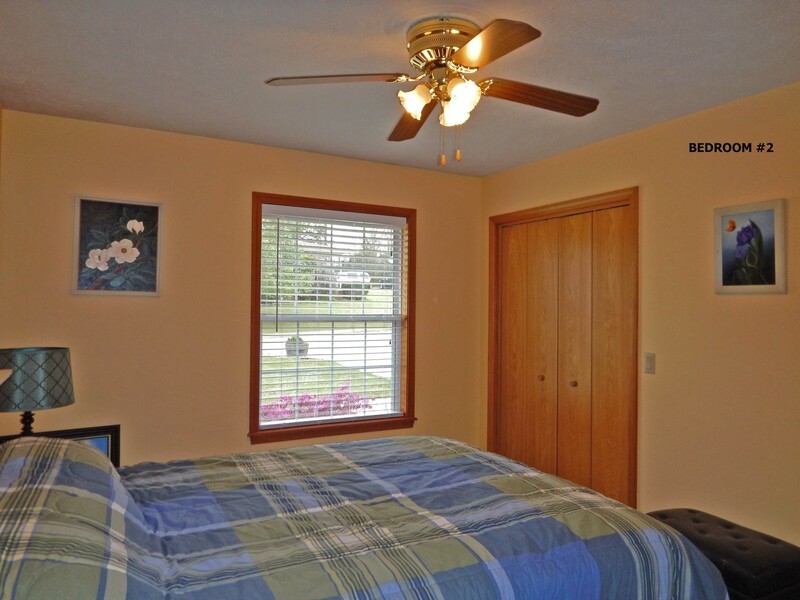 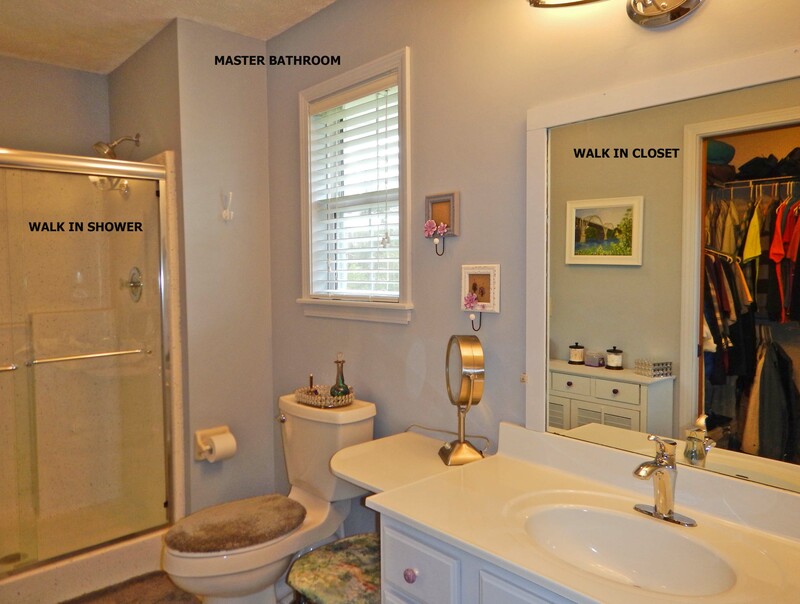 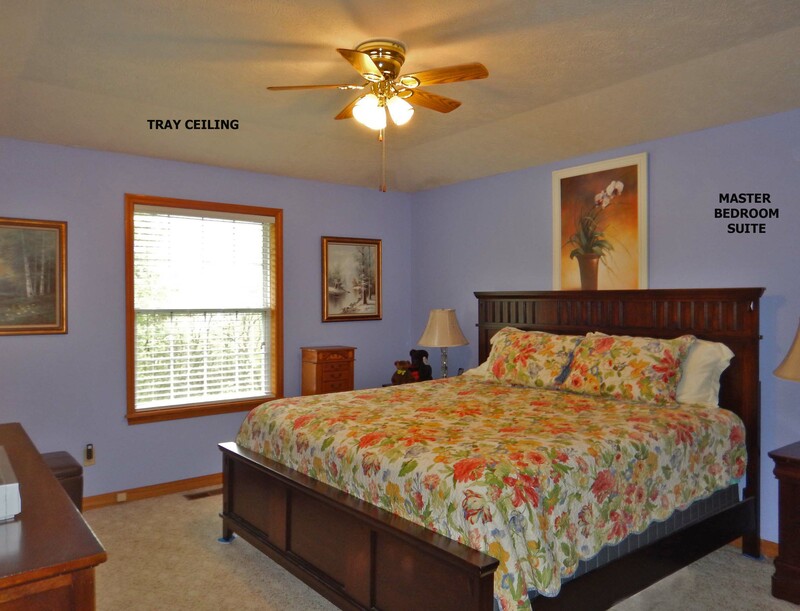 The master bedroom is en’suite with full private bath and walk in closet. 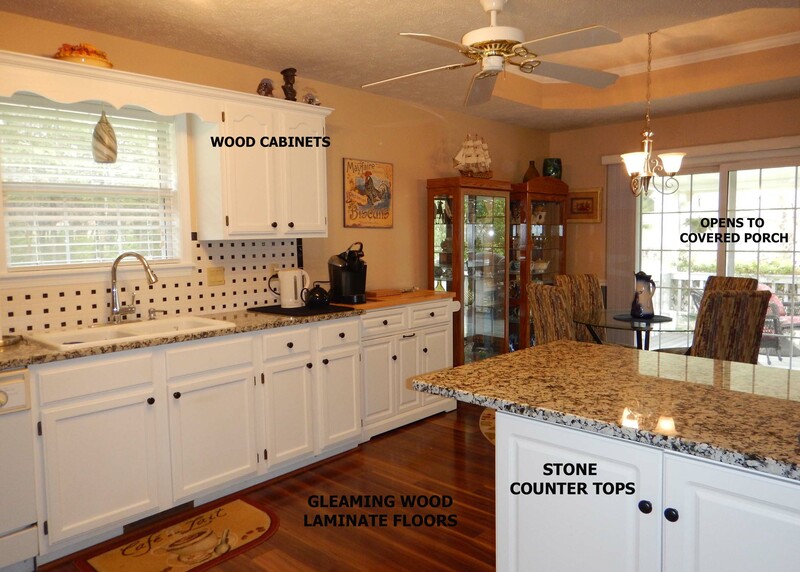 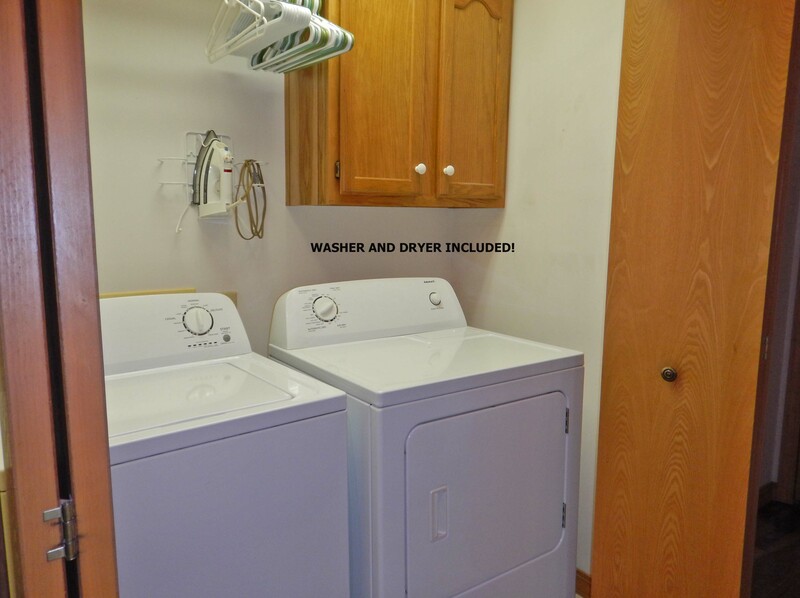 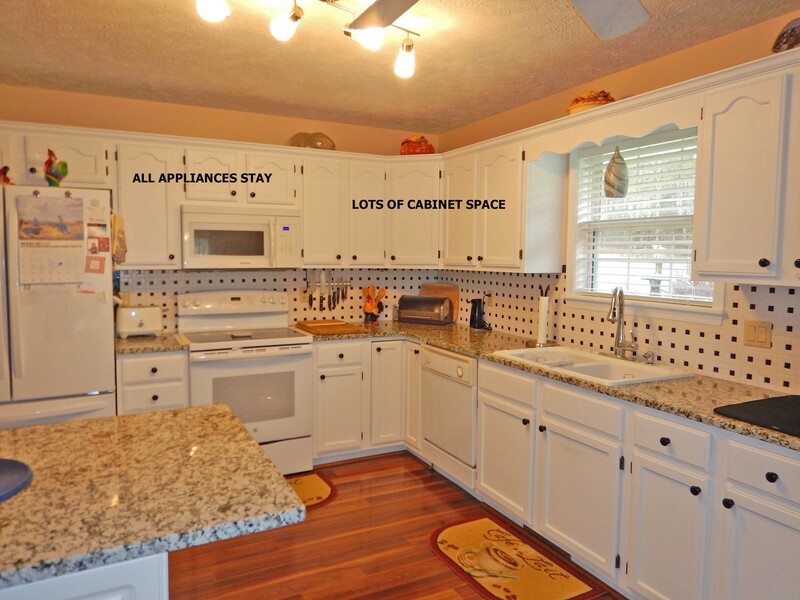 Designer kitchen features custom cabinets and new stone counters, sleek white appliances and the washer & dryer stay. 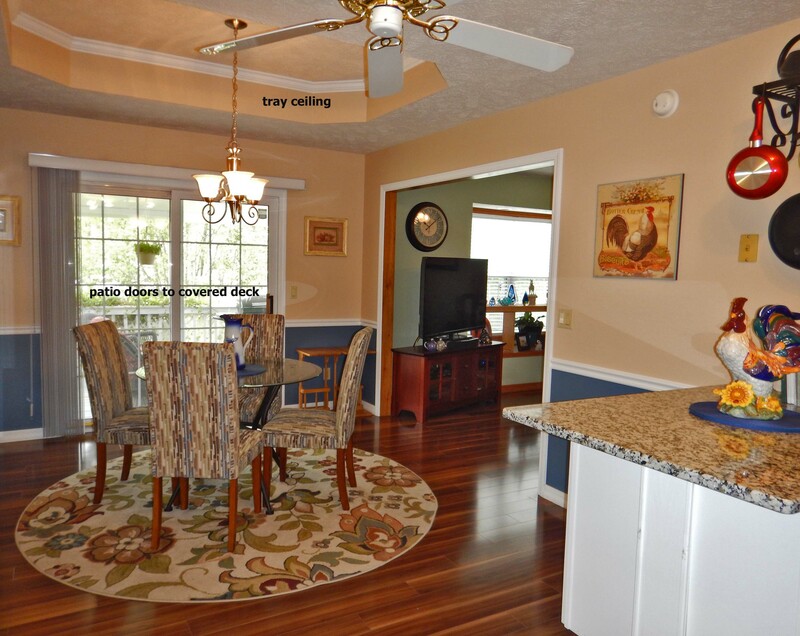 Living areas have new gleaming wood laminate floors, custom tray ceilings in master suite and in the dining area. 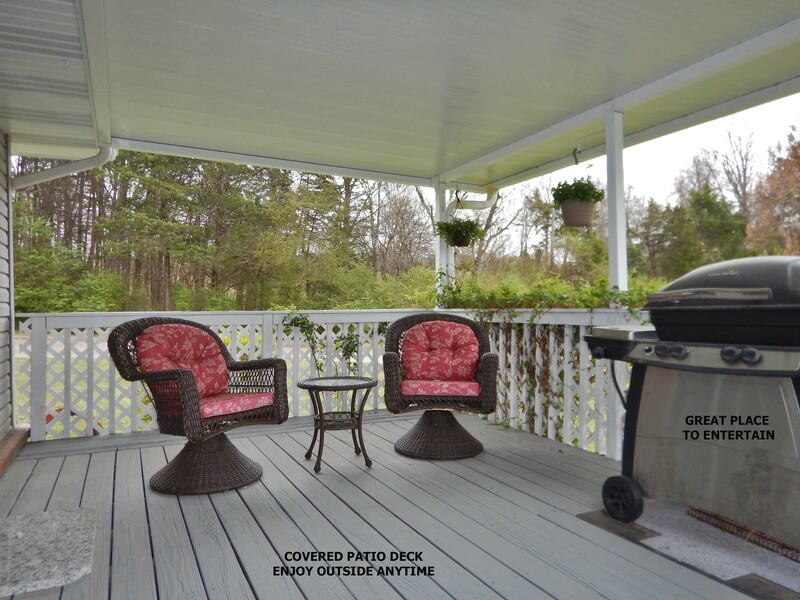 Covered back deck has elevated deck that looks at tall trees, easy care landscaping and a great spot to entertain!